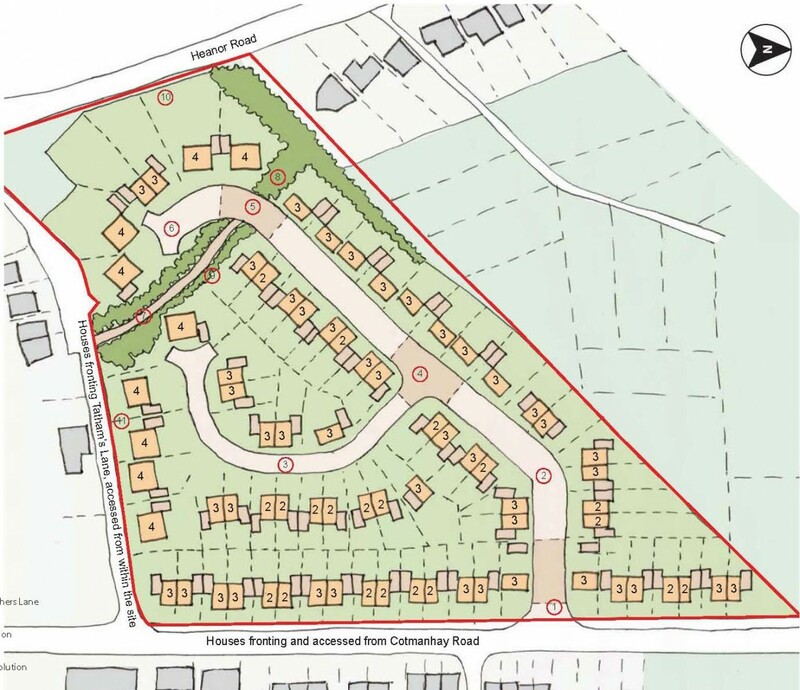 In support of an outline planning application, Influence were appointed by Gardner Group Limited to investigate their existing brownfield site for redevelopment for approximately 75 residential dwellings. The application site is approximately 2.4 ha of existing industrial land on Cotmanhay Road to the north of Ilkeston town centre. The application site is surrounded by residential development of mixed housing types. 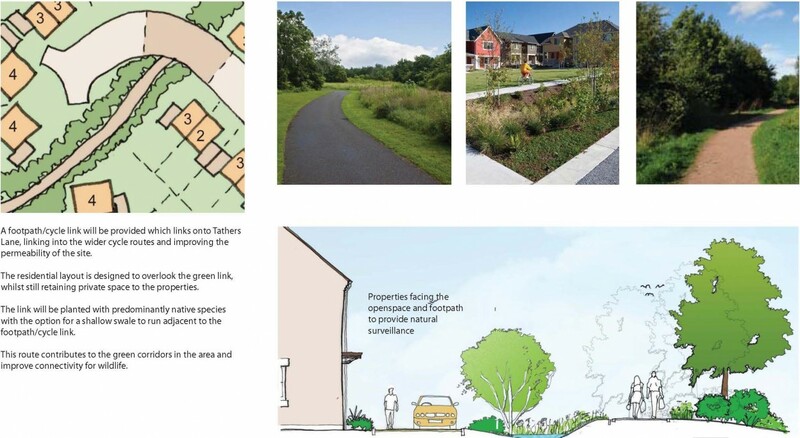 In support of the Indicative Masterplan, a Design and Access Statement was prepared to identify access points, housing layout and density, vehicle and pedestrian movement, parking strategy, associated structural landscaping including public open space, SUDS opportunities, associated infrastructure, earthworks and other ancillary and enabling works including the demolition of all existing buildings. 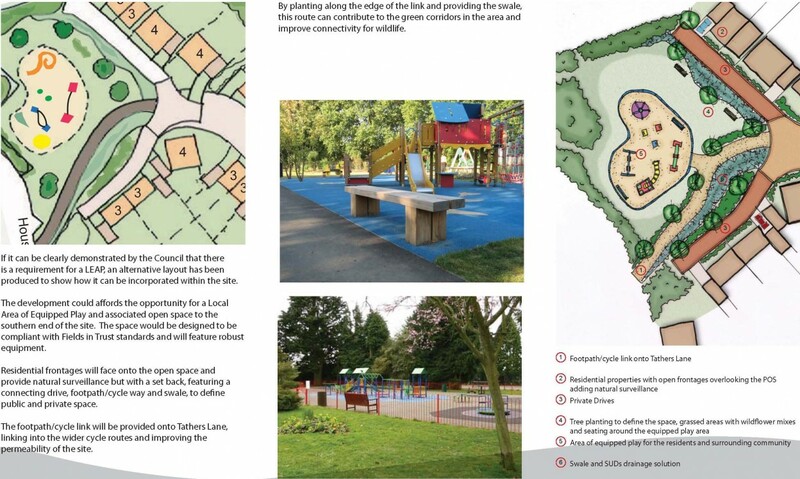 Influence were able to demonstrate opportunities for the development to enable improvements to the local townscape and wider community by providing improved road frontage to the existing streetscape and green links through the site to surrounding vegetation. 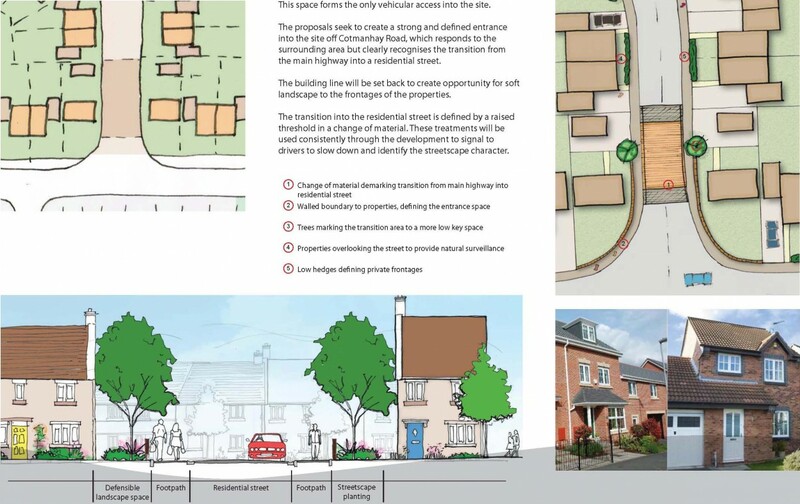 As part of the proposals Influence prepared a series of vignettes (design scenarios) to illustrate the treatment to different streetscape and building frontage. The outline application was approved in October 2014.